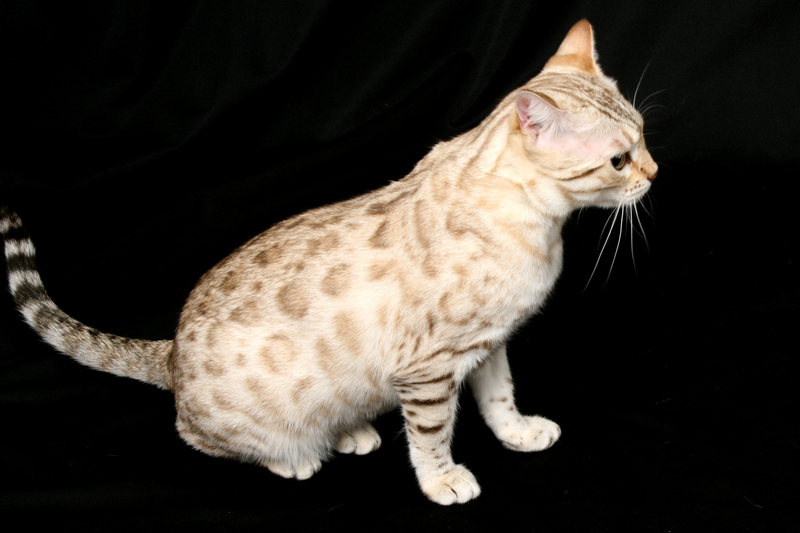 RW QGC Snow Tundra Juniper is our beautiful seal spotted mink girl from RW SGC Metastar Jungle Jazz Of Snow Tundra and CH Bengaland Gingerbread Of Snow Tundra. She has the best features of both of her parents. 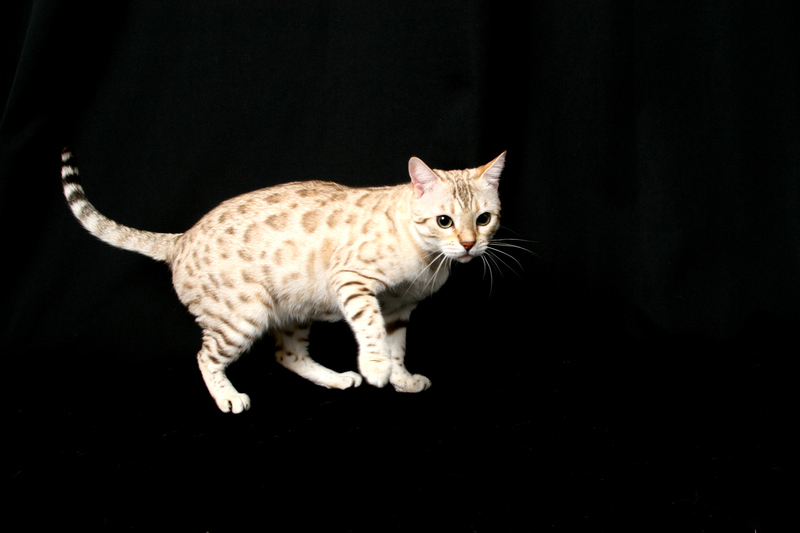 She has the same outstanding qualities of her father, RW SGC Metastar Jungle Jazz Of Snow Tundra, but on a smaller scale. 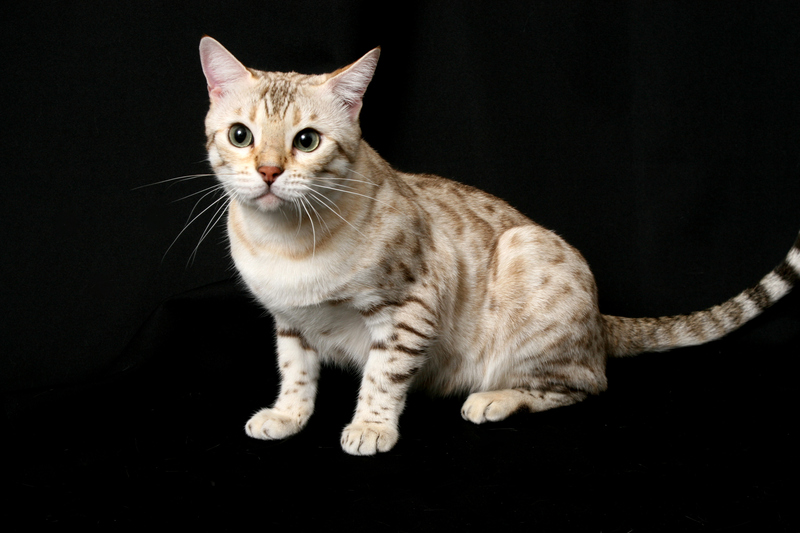 Plus, she has the perfect bengal head of her mother, CH Bengaland Gingerbread Of Snow Tundra. 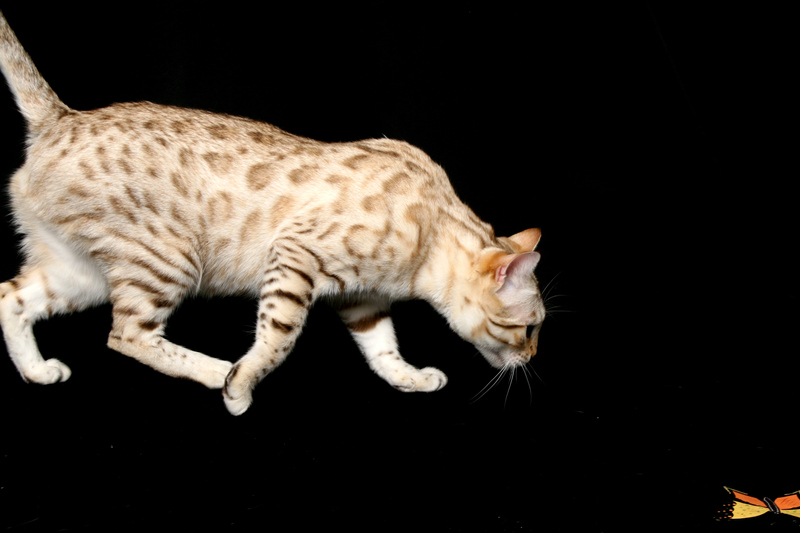 RW QGC Snow Tundra Juniper earned her title of Quadruple Grand Champion in her first three shows as an adult in TICA and became a Regional Winner in TICA before she turned two years old. 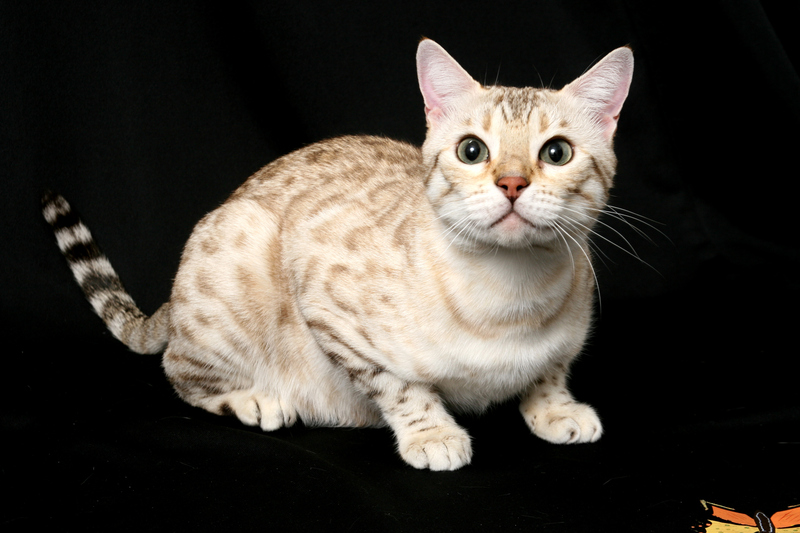 Her first kittens were unbelievably gorgeous and we expect her future kittens to be just as exceptional as the first! RW QGC Snow Tundra Juniper was screened normal for HCM at Ocean State Veterinary Specialists in East Greenwich, Rhode Island by Dr, Mark stamoulis, Veterinary Board Certified Cardiologist on February 26th, 2016.